This Saturday, April 1st, join Salman Rushdie (Bestselling author and former PEN President); Anne-Marie Slaughter (President and CEO, New America); John W. Dean (White House Counsel for President Richard Nixon); Lee C. Bollinger (President, Columbia University); Leon Botstein (President, Bard College); Jelani Cobb (New Yorker staff writer and author), Oz Sultan (Advisor to Trump:Pence Campaign), Brandon Washington (President, Brooklyn Young Republican Club), and dozens more authors, activists, journalists, and former White House staffers from both sides of the aisle for a series of spirited conversations about the state of our democracy. 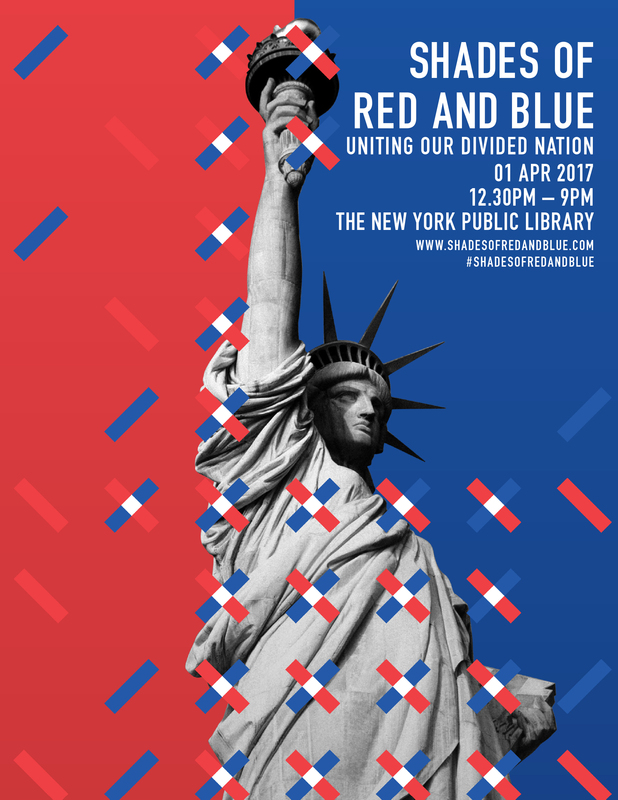 Shades of Red and Blue: Uniting Our Divided Nation at The New York Public Library brings together intelligent minds from diverse points of view to model the art of “principled disagreement” and talk freely and honestly about: loss of trust in the institutions that guard our Constitution, the hardening of American borders, America’s responsibility to provide global security, whether diversity is a glue or dividing line for nations, and free speech, liberty and the public interest. The event has been convened by three non-partisan non-profits—The Ethics Centre, Carnegie Council for Ethics in International Affairs, and Bard Globalization and International Affairs Program. You can read more about the event and buy tickets here. Join former White House Counsel John W. Dean, New Yorker staff writer and former speechwriter for Jimmy Carter, Hendrik Hertzberg, and John Podhoretz, editor of Commentary Magazine and speechwriter to Ronald Reagan and George H.W. Bush, as they ask if America is witnessing a witch-hunt or another Watergate? Walls. Bans. Raids. The hardening of America’s borders is an essential part of President Trump's program to make America great again. But will tightening immigration make for a safer and more prosperous nation? Should we care for others, not just our own? With Yael Eisenstat - diplomat and national security advisor to Vice President Biden and Oz Sultan - big data and counterterrorism strategist. Diversity is a strength in some societies. In others, it is a source of unresolved tension that can erupt into fear, hatred, and violence. All democracies have one thing in common – legitimacy. How should governments reconcile freedom of speech with the pursuit of absolute truth and legitimacy? The Ethics Centre is an independent Australian organization that exists to bring ethics to the centre of everyday personal and professional life. Based in Sydney, the Centre has provided a venue for individuals to think through and discuss ethical questions for over 25 years. Carnegie Council for Ethics in International Affairs is a forum for the world's leading thinkers, experts, and decision makers. The mission of the Council is to enlarge the audience for the simple but powerful message that ethics matter, regardless of place, origin, or belief. The Bard Globalization and International Affairs program (BGIA) brings students from across the world to study in New York City and to intern in organizations that match their experience and aspirations. Its faculty are leading scholar-practitioners and program events regularly convene some of the most important and compelling thinkers in international affairs. BGIA is part of Bard College, an institution that acts at the intersection of education and civil society. 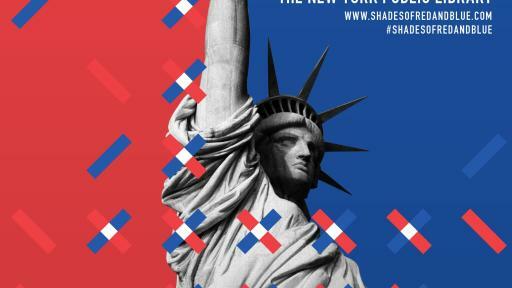 For more information regarding the event, visit www.shadesofredandblue.com.